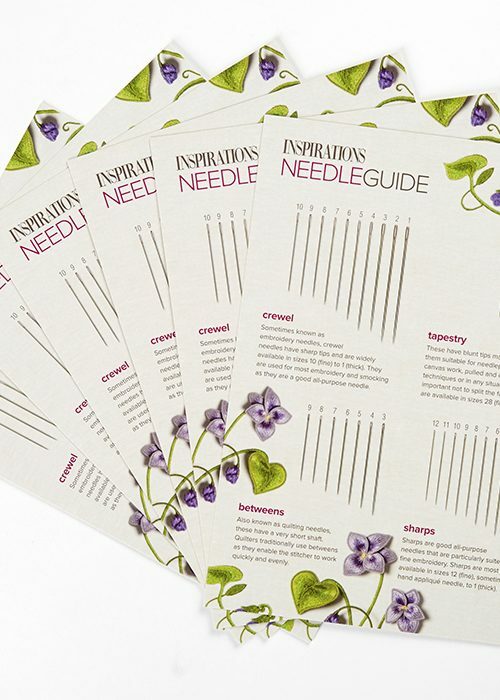 The Inspirations Needle Guide is the quintessential tool to help keep all your needles in order. 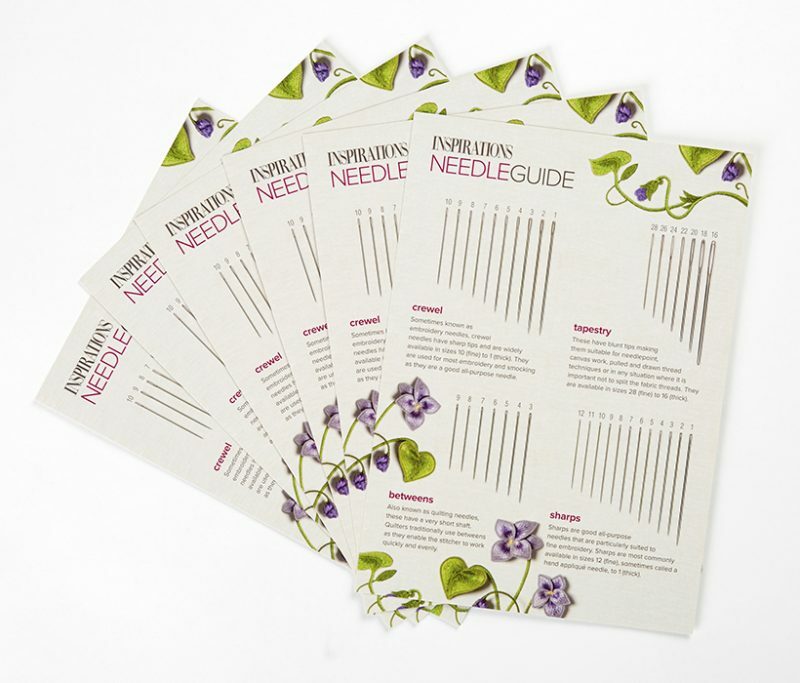 Designed to help you easily identify any needle in your collection, simply place the needle on the double sided laminated guide to determine its size and type. 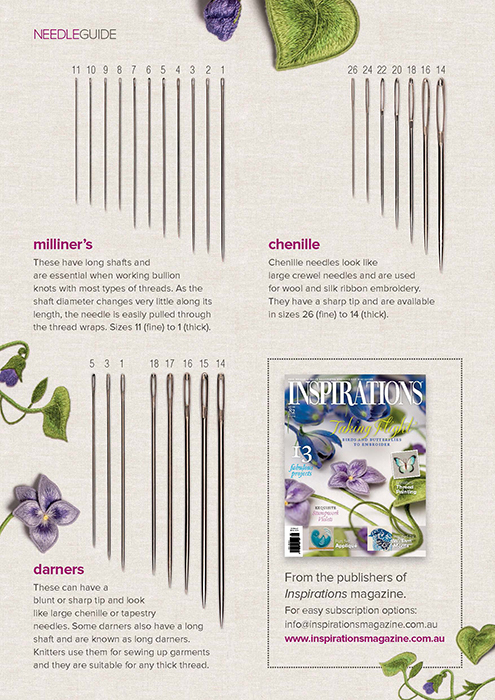 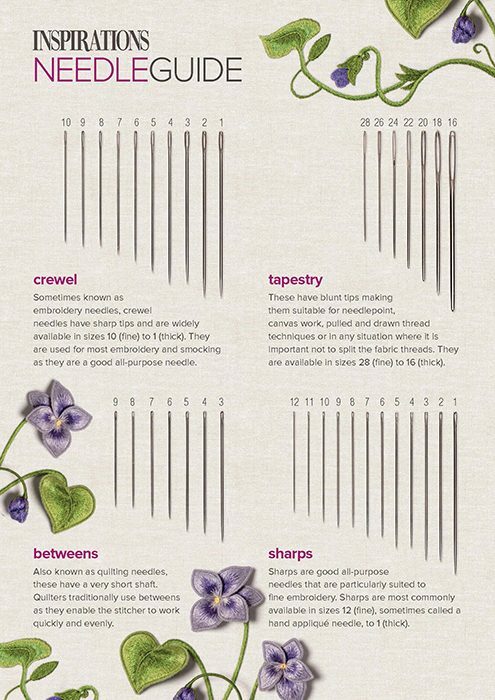 Featuring seven needle types in all popular sizes, each needle is depicted in actual size.